The Hairy Lespedeza is a common perennial herb with the species name Lespedeza hirta, also known as the hairy bush-clover. 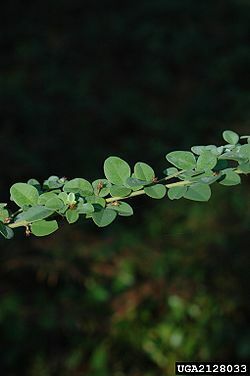 Its name is derived from the hairs that grow along its stem and leaves. Their habitat ranges throughout much the eastern Canada. They are fire resistance and their leaves and seeds provide food and in some cases shelter for wildlife. They nitrogen-fixing plant and able to grow in a very acidic soil if it needs to. Like many other plants, the ecology will consist of the exact same thing, but in different quantities; such as having a different amount of sunlight, oxygen, temperature, and even different quantities of water or moisture. 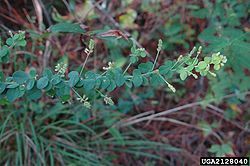 In the Lespedeza's condition, it requires a very acidic composition in its ground soil to survive, and can only grow in climates of partial dryness (or lack of moisture and increase of sunlight). 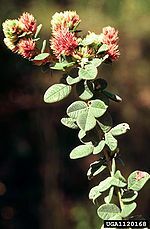 Its leaves are said to be good nutrition for caterpillars and even moths to enjoy, but more importantly; some wildlife creatures also enjoy the foliage of the lespedeza, such as differing species of deer and species consisting of rabbits. Aside from the nutritious leaves of the lespedeza, the very seeds of the lespedeza are generally consumed by specific variations of Turkey and quail. This page was last modified on 28 July 2014, at 20:57.